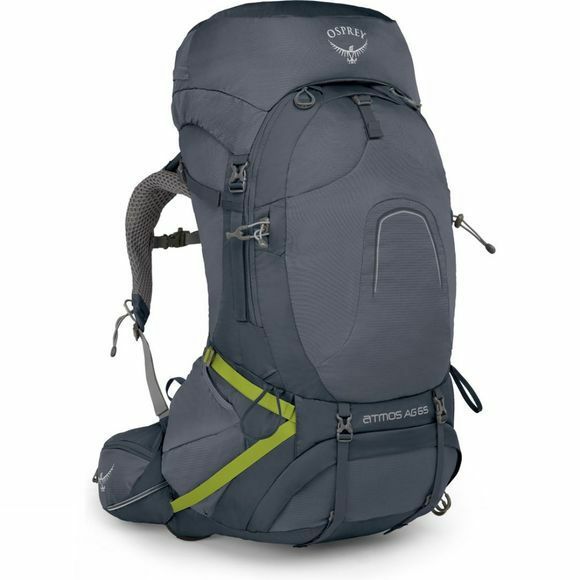 The Mens Atmos AG 65 Rucksack from Osprey has been redesigned for 2018. Featuring their AntiGravity back system and ventilated hipbelt, you get excellent ventilation without sacrificing performance where you need it most and is ideal for hot as well as cold climates. The ExoForm Biostretch harness with load lifter bar offers strong load support so you don't wear yourself out while pushing yourself to your limits. 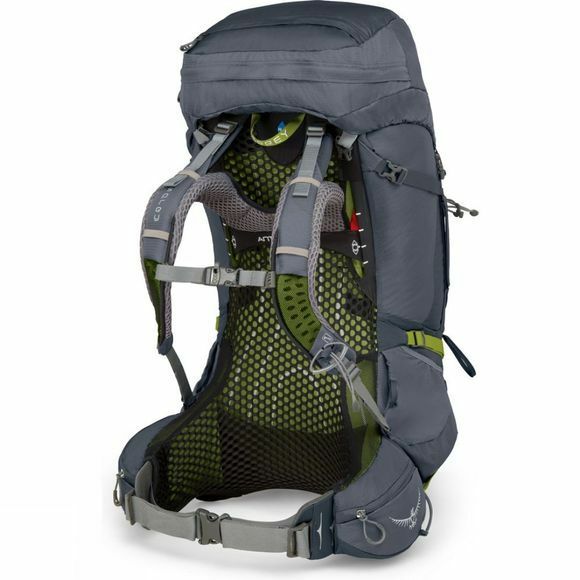 With two zipped pockets on the front, one zip at the base and top entry gives you easy access to all your kit quickly and thanks to the Stow-on-the-Go pole attachments, you get your trekking poles without having to take your bag off. If you get caught in the rain, there is a detachable raincover integrated into the lid to keep your bag dry so you can trek onwards and upwards.